Learn from greats like Scott Weaver, Arthur Ganson, Moxie, Tim Hunkin, AnnMarie Thomas, Ranjit Bhatnajar and Jie Qi. "The book showcases 150+ makers working at the intersection of art, science and technology and captures that infectious maker spirit I so deeply love. Inside you'll not only find profiles of important makers but also how you can start tinkering around and explore making things from soft circuits, wire art, puppets, mark-making machines, fused fashion and more." "If you know someone who loves making or Maker Faire or the Exploratorium or just the delightful little moments of everyday life, make sure this book makes it into their hands. And don’t forget to top your gift with an LED and a 9v battery, so that your happy recipient can tinker right away with the conductive ink on the cover." "What an incredible book! At every page, the "making" parts of my brain are activated and I'm compelled into the shop to try versions of the suggested projects. I wish, WISH that this book existed when I was young. Hell, I wish I had it when my kids were younger. A must-read for every maker!" 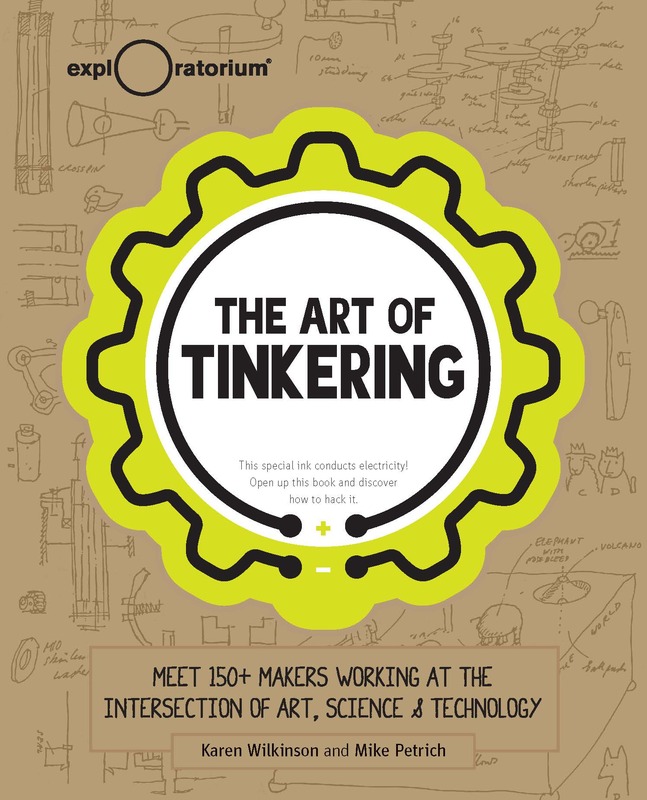 "I absolutely fell in love with all the geniuses in the Tinkering Studio. I may contract some of the them to build me a home inside the museum so I can I live there and learn forever!"